By admin Employment Issues, Workplace Trends caffeine, caffeine overdose, coffee Comments Off on Death by caffeine – how much is too much? Sadly, tragic news has emerged that a man in Britain recently died from caffeine overdose. John Jackson was 40 years old. What makes this unfortunate death worrying is that it was due to consumption of caffeine-laced mints. Misfortune can strike us in many ways, but we generally don’t expect a tin of sweeties to be our downfall. But is that enough to kill you? The handy website Death by Caffeine, where you can find out how many cans of energy drink, cups of coffee or bars of chocolate you will need to consume before expiring, suggests that a 70kg person would need to drink 132 cans of a beverage containing 80 milligrams of caffeine (or a similar number shots of espresso coffee) to die of an overdose. Sensitivity to caffeine and our ability to break it down varies between people. A recent report about energy drinks in the Medical Journal of Australia found that people drinking no more than the recommended amount of energy drinks showed significant signs of toxicity (such as palpitations, and even parts of their heart muscle dying). There are a number of reasons for this susceptibility, such as having an underlying heart condition. But in Jackson’s case, the most likely culprit was his liver. Caffeine (and the related stimulants from tea and coca, theophyline and theobromine) is broken down in the liver by a specific enzyme (cytochrome P450 1A2 for the technical minded). Not everyone has the same amount of this enzyme in their livers for many reasons, such as the gene for the enzyme being missing or defective. The reason you don’t give chocolate to dogs is that they have very low levels of their version of the human enzyme, and are more susceptible to toxicity from theobromine and caffeine in chocolate. Around 40 per cent of Europeans have a version of the enzyme that breaks down caffeine slowly. 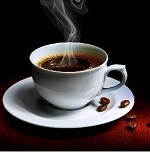 In these people, caffeine consumption is correlated with higher incidences of heart attack and high blood pressure. Jackson reportedly had 155mg of caffeine per litre of his blood. But from the amount of caffeine he consumed, one would expect a blood level of between 10mg and 20mg per litre, which is below the 80mg per litre that’s reportedly toxic. The mints in question have a label warning on the back of the tin saying they contain high levels of caffeine, and advise against eating more than five in a 24-hour period (but its website has no warnings). The labels also warn caffeine-sensitive individuals against consuming them. There is, I think, a good case for more prominent labelling of caffeine-containing foodstuffs and beverages, along with rewording of the warnings so they are clearer about who is at risk.